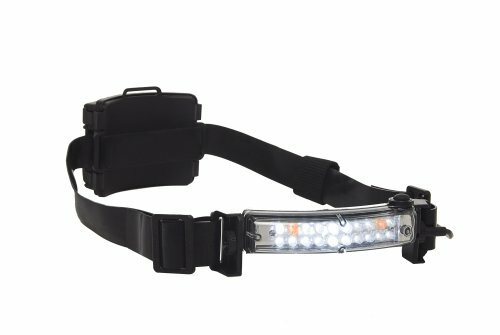 FoxFury 70 lumen white and amber LED fire helmet light optimized for the wildland firefighting environment. Ultra-slim design accommodates most helmets with minimal clearance room. 3 light intensities; runs on 4 AA batteries; offers focused and panoramic lighting. Features flashing rear (red) safety LED for enhanced visibility from the back, tap switch, 3 modes (low, medium, high). 38 degrees wide field of vision. See up to 120-feet away and 48-feet wide. Fits 99 percent of US (American) style structural and wildland fire helmets. Made of premium materials for extra durability and longer life: nylon 66 housing with polycarbonate lens cover, silicone coated; teflon jacketed cable, 1-inches wide silicone strap with high temperature nylon buckle. Silicone straps are covered by a limited 90 day warranty. Note: battery pack is not remotable. If you have any questions about this product by FoxFury, contact us by completing and submitting the form below. If you are looking for a specif part number, please include it with your message.